Old Farmer XL barbecue knife in robust style. With the sharp blade, this knife is perfect to use for meat or to the good salad, you choose yourself. It is designed with a larger shaft and the blade has extra good sharpness. The handle of Micarta Old Farmer XL consists of textile fibers and melamine resins compressed to a high temperature. 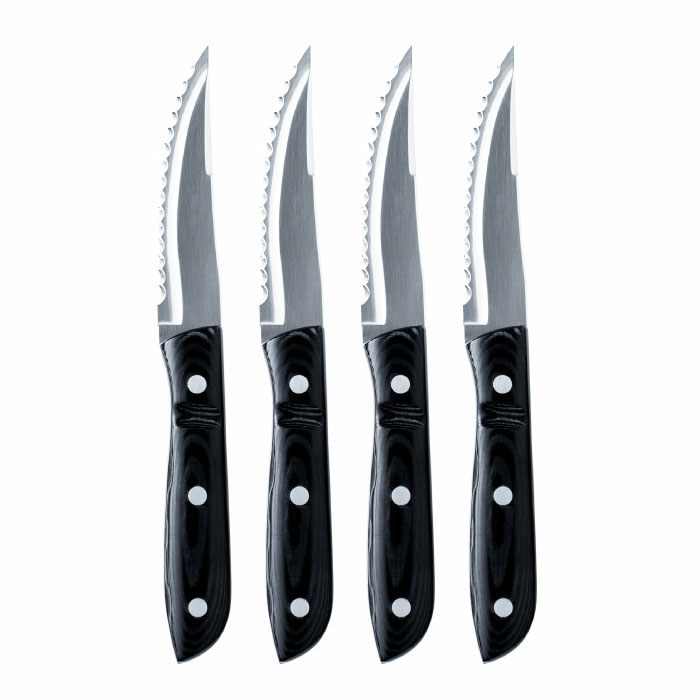 It makes it a dense and hard material used in various types of industries, among others knife industries. Old Farmer knives are nicely packaged in wooden boxes.